We invite you to a fascinating journey through the most beautiful city in Scandinavia. The tour includes a ride through the numerous islands of Stockholm, like the island of Djurgården, where you can see the unique palace of Russian Duchess Maria Pavlovna, who was married to a Swedish prince Wilhelm. 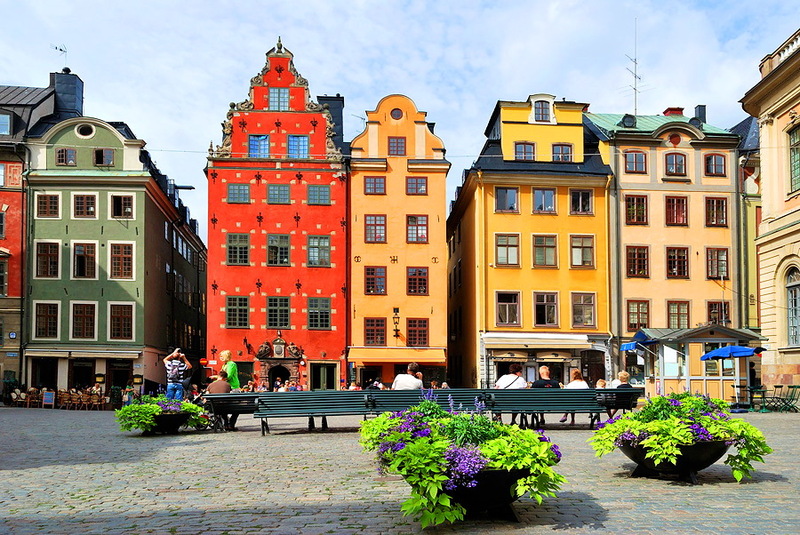 Our bus will pass by the most beautiful street in Stockholm - Strandvägen - a true decoration of the town from the end of the XIX century, you will be impressed by the Royal garden - Kungsträdgården, which is the most favorite venue for summer and winter leisure activities for those who live in the city and tourists. On a very small but significant Island of the Knights (Riddarholmen) you can see the tomb of the Swedish Kings, where Charles XII, the most famous of them was buried. On the Island of Knights, you can relax and enjoy the view of Stockholm from the water, because this city is beautiful at any time of the year! We will also stop on the shore of the island of Södermalm - a magnificent panoramic point of Stockholm. The tour program provides information about the modern part of the city and the country as well as its history. You will see the city's famous Town Hall on Kungsholmen island, where the banquet in honor of the most unique people in the world - Nobel laureates is held every year. During the tour we will also tell you about Alfred Nobel - one of the most famous inhabitant of Stockholm. The bus tour ends in the heart of the city - the Royal Palace in the Old Town. Here we continue our walking tour through the medieval streets of the Old Town. You will pass through narrow streets of the medieval Stockholm and learn how people lived here in the Middle Ages. Our guide will tell you about the most interesting moments of the history of the Swedish-Russian relations over the past centuries. We finish our tour in the Old Town, where you can have lunch and continue to explore the city on your own. At the end the guide will tell you how to get back to the terminal, where to change currency and answer some other questions.